Analysts of commodity markets around the world are waiting for the data publication on the volume of fuel inventories in the United States. 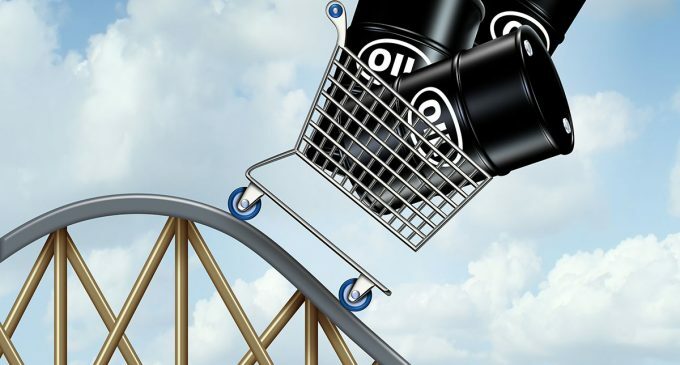 Because of this, the market has experienced an impressive decline in oil prices within two sessions in a raw. The authoritative portal of financial and economic information Dow Jones has made this information public. Of course, not only does the expectation of the publication of reserves adversely affect commodity quotations, but the public statements of Jerome Powell contributed to the fall too. We remind that Mr. Powell is a chairman of the US Federal Reserve, a follower of Janet Yellen in this position. His statements significantly strengthened the US dollar, and the strong US currency always has a recessionary effect on commodity markets. So, at 8 am Moscow time, April futures for Brent (benchmark crude oil traded on the ICE Futures exchange in London) was being traded at 66.23 US dollars per barrel, which is 0.4 US dollars less than at the close of the previous trading session. WTI, benchmark crude traded on the New York Mercantile Exchange NYMEX, also showed a decrease of 0.52% to the level of $ 62.68 per barrel. The American Petroleum Institute has published data on reserves of raw materials in the United States. According to this statistics, oil reserves in the US have increased by 933 thousand barrels for a week. Gasoline stocks also have shown the growth of 1914 million barrels. Analysts are waiting for the publication of data from the US Department of Energy. It is believed that the figures won’t be quite different from the data of the oil institute. Investors are pretty much afraid of increasing oil production in the United States. They believe that this could cause the collapse of oil quotes. There are real grounds for fear: since the beginning of this year an average increase in oil production in the US has amounted to about 70,000 barrels per day, which is 3.5 times more than last year.